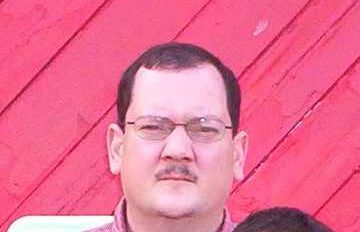 Lyle Wayne Armstrong, 51, of Elizabethtown, KY passed away Sunday, March 31, 2019 at his residence. Mr. Armstrong was preceded in death by his mother, Margaret Jane Brown; and his grandparents. Survivors include his father, Harold Armstrong & his wife, Lynda of Elizabethtown, KY; two brothers, James Scott Armstrong & his wife, Danita of Michigan, Kyle Yount & his wife, Becky of Texas; one sister, Elizabeth "Beth" Larrington & her husband, Bill of Alabama; multiple nieces, nephews, and his beloved pets. Visitation will be from 6:00 PM until 8:00 PM Friday and from 10:00 AM until 1:00 PM Saturday at the Chism Family Funeral Home, Vine Grove, KY.
Services for Mr. Armstrong will be held at 1:00 PM, Saturday, April 6, 2019 at the chapel of Chism Family Funeral Home, Vine Grove, KY. A private burial will be at a later date.